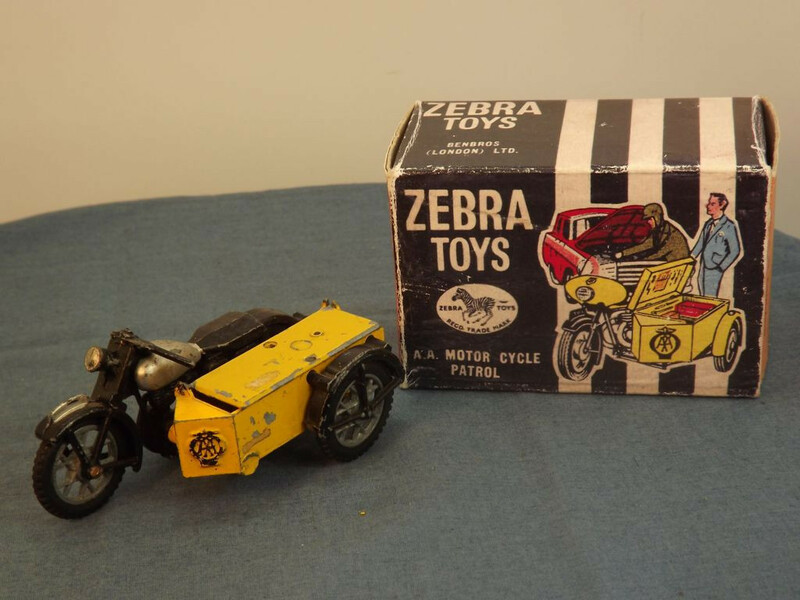 This model is in my mind NOT the Benbros Zebra 06 AA Patrol Motorcycle and Sidecar in yellow, silver and black. 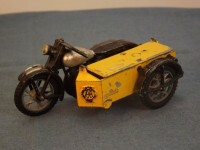 It came in a home-made reproduction box and is not complete being missing rider, faring, aerial and sidecar rack. 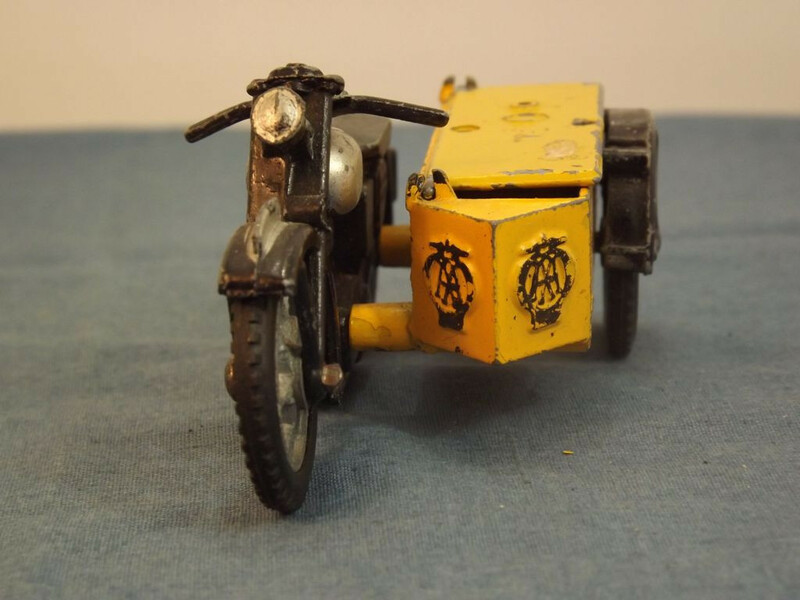 I believe this is actually a Benbros Qualitoy (un-numbered) AA Patrol as it more readily conforms to the type 2 casting of that model. 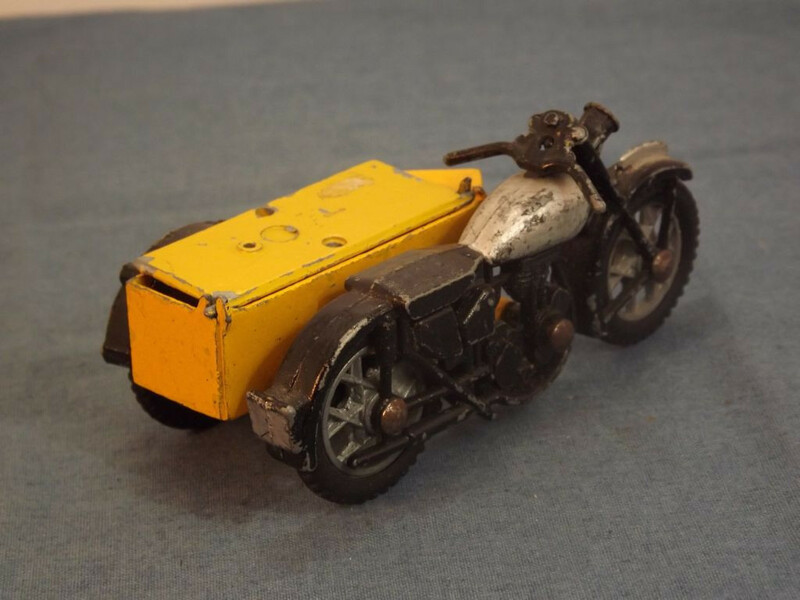 The model is a multiple piece metal casting with the motorcycle body molded with representations of the engine, handlebars, headlight, front and rear mudguards, and frame in black, and headlight lens, number plates, and petrol tank in silver. 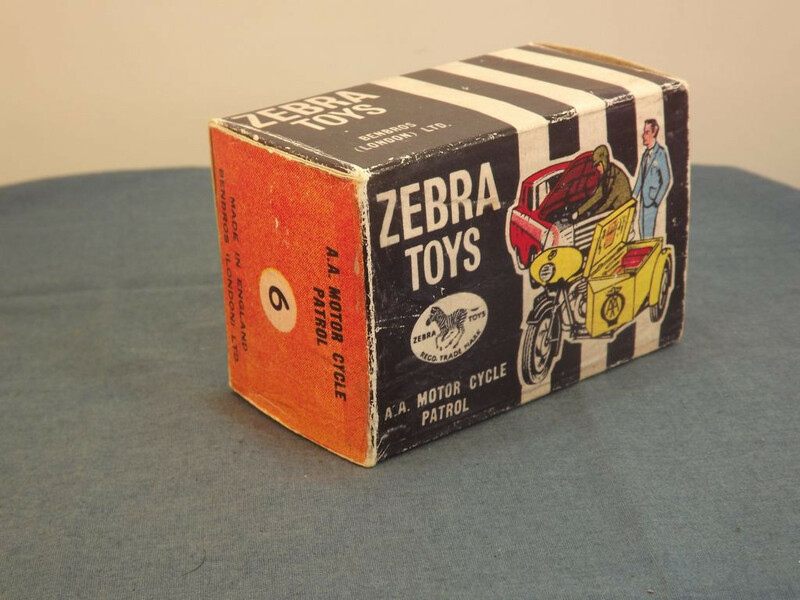 The fact the model has silver factory applied trim makes it different to the Zebra 06 model and more closely aligned with the earlier Benbros Qualitoys issue. 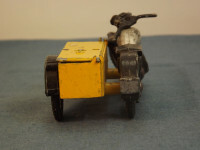 The missing rider should be in brown and the motorcycle is missing the yellow faring. 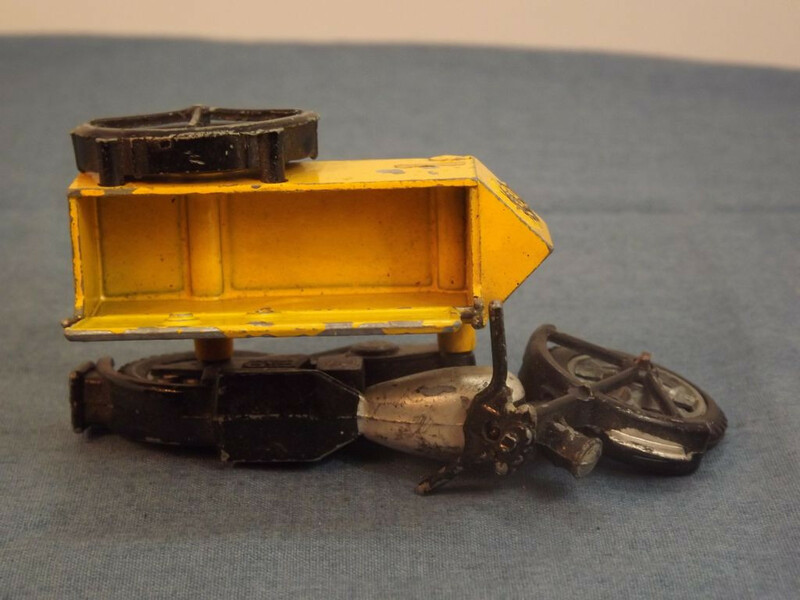 The sidecar casting is molded with the service box (complete with cast, black painted, AA logo) in yellow, and rear mudguard in black. The side car has a very angular shape and is pinned to the motorcycle at the front and rear. 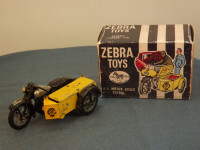 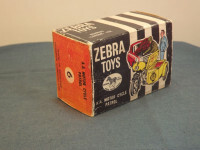 Unlike the Zebra 06 model there is nothing on the base of the sidecar. This model has no sidecar rack or aerial. There is no base plate as such and the underside of the motorcycle and sidecar carry no manufacturer's marks or country of origin details. 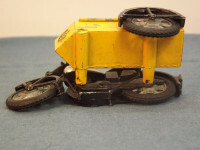 The three wheels are all bare metal hubs/rims with black rubber tyres, mounted on steel axle pins. 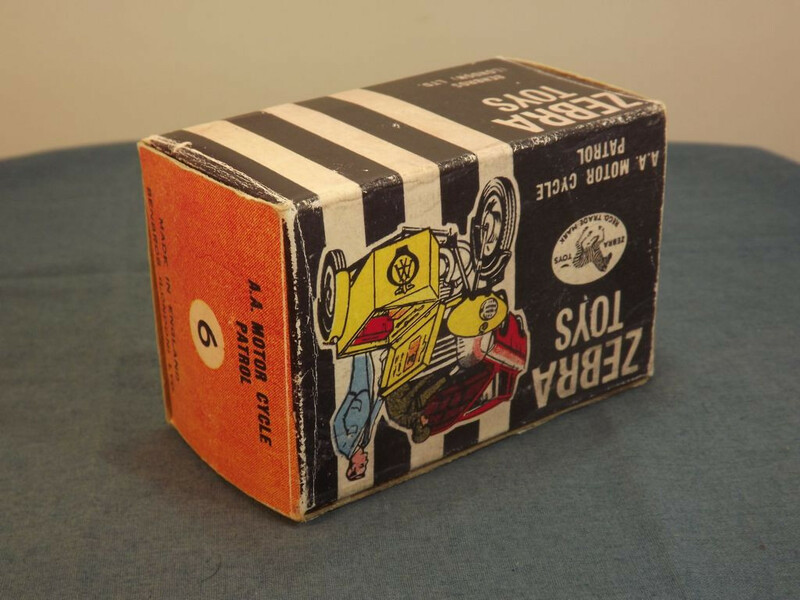 This item was issued in the 1950s possibly circa 1958.